Musical Content: Take a stroll outside on a rainy night with this cassette in your Walkman. There’s a lot to explore in this effort by Divine Shell: the work of Derek Setzer. Opening harmonic swings start the experience and invite the listener to swim with the ebb and flow. You may fight against the tide at times, but eventually, you are swept away. Go with it. 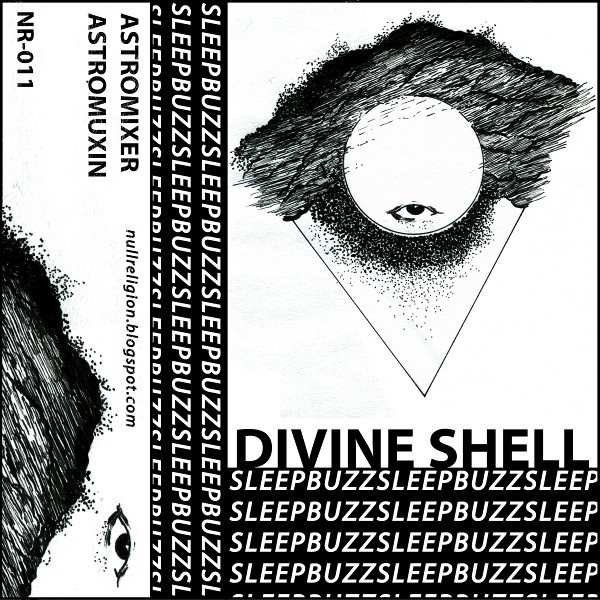 Sleep Buzz cascades with an adept aural palette. Definitely an ambient ride, you have to check your baggage at the door and live a little. Mood and intensity are the hallmarks of this recording, bringing skill and lithe turns of sound which churn over and over. Divine Shell makes you feel at home, yet slightly uncomfortable…that’s art. Challenging the listener yet engaging, you want to see what happens around the next bend. 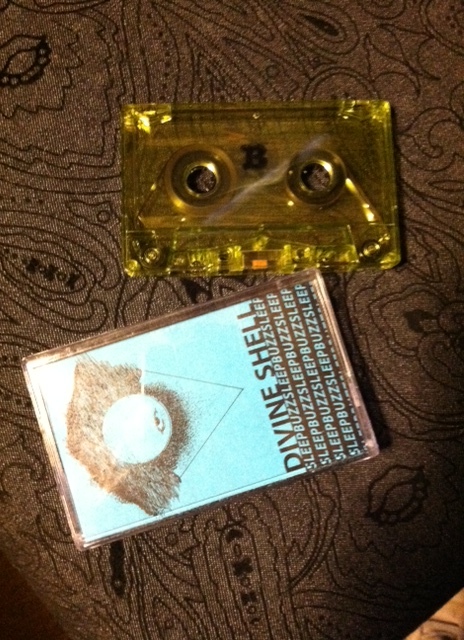 Packaging and Sound Quality: The cassette is a simple amber plastic labeled “A” and “B”. Artwork on the card belies minimalism as well as suggestive of what you should expect on the recording: sleepbuzzsleepbuzzsleepbuzz. Quality of recording suffices for the ambient textures. Well balanced and structured, give it a listen with headphones. You may find the portal to another dimension. This entry was posted on May 4, 2014 by zehorhpe in Reviews and tagged ambient, dark ambient, drone, electronic.